Hello all. Assalamualaikum friends. I will be in a team building tomorrow so i thought of writing this entry tonight. This time around, i would like to introduce to you Canmake best selling item which i received during the Butterfly Projects X'mas party last year. It is the Canmake Stay On Balm Rouge. 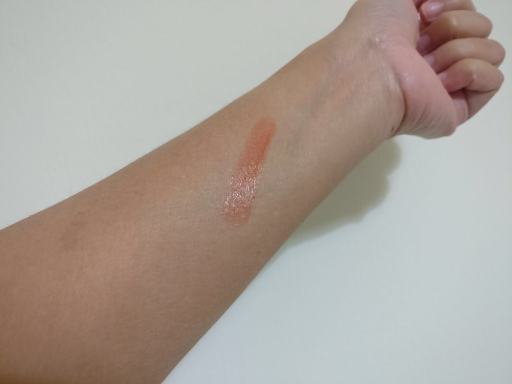 I think it is super popular because of its color and moisture. Let me tell you one thing, if you are a lipstick person like me, you might think that..well..this is going to be another lipstick entry. Well, this is definitely not a lipstick. It is a coloured balm. Nothing special about it eh? 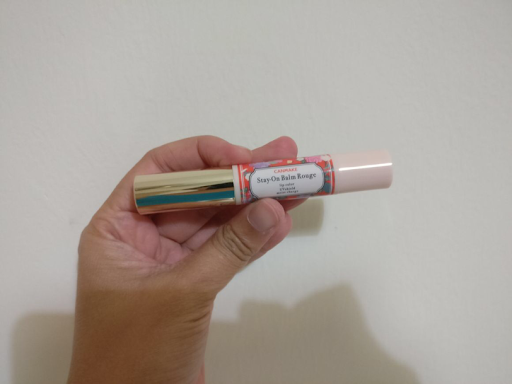 Read more until the end of this entry to know is it any difference between this lip balm and others? As all of you are well aware, canmake is a very popular Japanese cosmetics. I have heard about how good their blushers are, their eyeliners, brow pencil and more! This time, they have their balm to complete the set of their cosmetic range. The colour that i received is quite red from the stick. Since it is a balm, it might not be as red as a lipstick. So as expected, it has a balmy effect. Shine and less pigmentation. I love to have this right before i put on my lipsticks, especially a red ones. Since it is a balm, of course it does not chapped my lips thus it moisturized it even more. If you like to watch jdorama like i do and if you noticed that the school girls in those jdorama have such nice pink / natural red lips, you can achieve that with a layer of this product! Amazing! 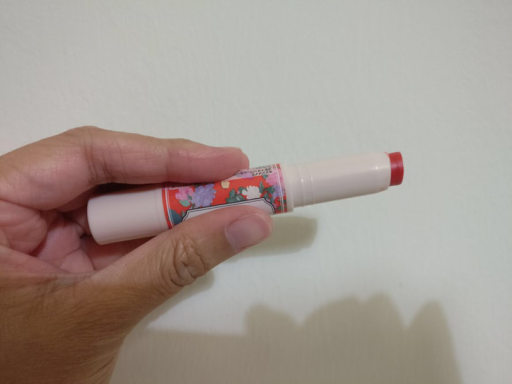 Since i am not into balm that much, i did try to mix this with my other liquid lipsticks just to moisturized my lips before putting on those matte liquid lippes on and it works like a charm! Although i do not have chapped lips, i still want my lips to be moisturized before putting any matte liquids cause some matte liquid lippes can be quite drying. So, if you are on a rush and need just a tint of balm and you want to apply it quick, this is the answer to your question. I do not have any reaction to this balm as yet. I know some of you might have some balm-allergic that could make your lips even chappier. You can try to use this one as another option to choose from. Canmake items can be found at Guardian Pharmacy. I found one in Guardian KLCC.